DIY Showoff - Just be you. As you know, I’ve had the privilege to partner with Shaw Floors a few times over the years beginning with the Shaw Floors/HGTV Home Design Challenge about five years ago to the current Shaw Style Board and what an amazing company! I recently enjoyed an opportunity to attend Shaw Floors’ 50th Anniversary celebration at their Connect 2017 convention in Orlando, FL. There was a bit of pampering for the Shaw Style Board team as well as the Shaw Flooring dealerships in attendance from around the country. It's always fun catching up with long time blog friends! And then the biggest best flooring convention you can imagine! There were educational sessions for flooring dealers all across the country with great topics from innovation and design to operations for supporting those dealerships and their businesses. I’m not even a flooring professional and I left there so inspired and motivated. Shaw makes it a family friendly environment and there was so much fun with dinner celebrations and the best food and an evening at Universal Islands of Adventure. A perfect balance of fun, education and ‘connection’. This month brought my first brand trip of the year and it was so much fun! As a Shaw Floors Style Board blogger (there are 8 of us), I have so enjoyed working with Shaw over the years and now things are ramping up even more. We were all invited to their huge Shaw Floors convention held in Orlando, FL every 2 years and it was a pleasure to get to see it all up close and personal. It’s huge and amazing! This month brougt my first brand trip of the year and it was so much fun! As a Shaw Floors Style Board blogger (there are 8 of us), I have so enjoyed working with Shaw over the years and now things are ramping up even more. We were all invited to their huge Shaw Floors convention held in Orlando, FL every 2 years and it was a pleasure to get to see it all up close and personal. It’s huge and amazing! We saw all their products in person and got to touch and feel the samples. I have Shaw Floors in my house and love them and would do it all over again in any house I might be living in. Their convention is truly a sight to behold and the Expo center is full of beautiful showrooms of their latest and greatest product offerings. It was so nice to see them all up close. Shaw is celebrating their 50th anniversary this year and that’s exciting too. Since Shaw is just up the road from me in Dalton, GA, it’s a real joy to work with a Georgia company as a blogger. They started as a carpet producer all those years ago and while carpet is still a huge part of their industry, they have branched out in all other flooring options too. When I visited their corporate offices and showrooms last fall, I found out just how much research and development goes into their products. Styles and trends are studied and analyzed before anything new comes out and I love how innovative they are in their designs. Their color of the year this year is Lush, a deep rich green which goes hand in hand with Pantone’s Greenery, color of the year. I happen to be a big green fan! That’s a real cake by the way, which we found out by touching it. Isn’t it gorgeous? I loved seeing all their flooring options and especially the engineered hardwoods, which have come so far over the years. I can remember almost 20 years ago when I put prefinished flooring in my first house in Georgia and how limited the choices were back then. Things have changed and now there are so many great choices in engineered floors, which is what I have in my house now. The toughness of these kinds of floors has greatly improved too. Engineered flooring means that there is a layer of real hardwood on the top and underneath a stable core of materials that keeps these floors looking great for years and they are dent and scuff resistant with the tough finish on top. I have their engineered floors in my house and 4 1/2 years after installing them, they still look brand new. It was great to see their Epic Plus flooring options and see all the new offerings. Wide planks and mixed width planks are still going strong. Mixed width is what I have in my house and I love it. Would totally choose it again. Floorte, their luxury vinyl planks are also a good option for wet areas and this is what I put in my den space on a slab recently with my Shaw partnership. I’m still loving it too! There are lots of colors and styles available in Floorte. Walking around the Expo showroom was so much fun, taking in all the beautiful materials and how they were displayed. I love getting to see the latest and greatest flooring options that are out there now. Shaw dealers come to the conference and we heard there were almost 4,000 in attendance this year, including 900 kids. They bring their families and use it as vacation time while in Orlando, since you know Orlando is the vacation destination for millions of people with all the theme parks there. Shaw had lots of things for kids to do at the convention. As well as a charging station for all those digital tools. Laminate was represented too and it’s still going strong. I have to say that laminate has really improved over the years too as it looks more realistic than ever, although if I was choosing, I’d still go with real wood for the most part. Laminate has its place though in many applications, as well as those vinyl planks. You just have to weigh out your particular space and how it’s used for the best material to put in there. They had it all displayed so nicely and we loved looking at it all. I dearly love the design process and looking at materials for a house. It’s something that I’ve been interested in for many years, since I moved in my first house in fact, back in the mid-80’s. I didn’t realize until recently that Shaw also carries tile and they have some beautiful porcelain and real stone and marble tiles. I could have a lot of fun planning out a new space with some of these tiles. Who knows, I just might be in another fixer upper house later on that I can do some fun projects in (wink, wink). I loved these glossy marble look plank porcelain tiles. They were gorgeous! These marble tiles were gorgeous too and I could have so much fun with these. Herringbone and another classic shape. I just love how you can mix up a project for so many looks with tile. The floor had those marble look alike tiles installed and it was beautiful. These were in a matte finish. More hardwoods displayed in the Expo. I’m not really sure what Floorigami is, but it appears to be carpet planks and different shapes to mix up in a space for a more modern look. It was really pretty! 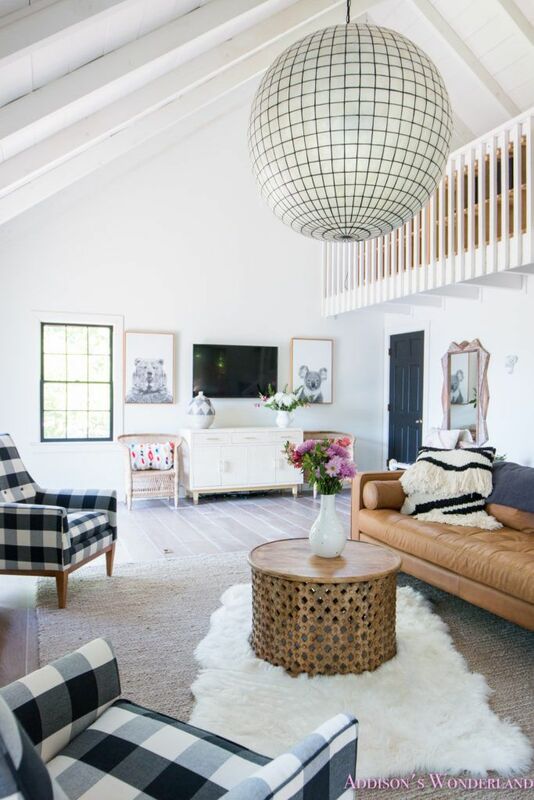 I love, love their patterned carpets and these can be installed as regular carpet or cut to fit a room with their custom rug program by Tuftex, a division of Shaw Floors. I love the idea of getting a custom cut rug just the size you need for a room and aren’t these some gorgeous carpets? I could fall in love with these. There were so many beautiful vignettes all over the Expo. This little display was so cool! This stand held a ruffled piece of their Lifeguard Waterproof carpet, holding ice and water and nothing comes through. Isn’t that amazing? They had these displayed on the tables too. Great application for any space that you might have a chance of flooding. Water won’t penetrate this carpet and it doesn’t penetrate the fibers either, from a demo I saw. They had so many cute areas set up for chatting and snacking. Everything looked so nice and top notch. For the kids in attendance, there were many fun tools and toys for them to play with, like this giant Light Bright. It was such a huge convention and fun to take in. I just love how creative their stylists are in making everything pretty. You can really tell they put lots of thought and research in everything they do in regards to color and style trends. Lush, the green color of the year for 2017. A wall for coloring for the kids, as you can see they put it to good use. It truly was fun to see it all in person and I’m very happy that Shaw invited all of us to be there. Such a treat! We were asked if we would share with the dealers in a session on blogging and social media, talking about our blogs and how things work in this online world, so 4 of us did sessions while there. I had no problem sharing about my blog and business and also working with Shaw on my recent den project. These were dealers who wanted to learn more about how social media works for their businesses. Several of my longtime blog friends are on the Style Board too and it was really fun to get to spend some time with them.